With all mortgages, you need to have at least a 5% down payment saved up. Don’t have it? Don’t worry. We have mortgages available so you can borrow the down payment from a loan or line of credit and still get the best rates available. We can even help you set up the line of credit. This is a great way to take advantage of low interest rates and housing prices without having to wait while you save up the down payment. The minimal amount of interest you would pay on the loan, compared to the potential higher difference in future interest rates and housing prices, puts you further ahead when you buy now. Contact us today to find out how we can help you get into your dream home. Whether you are a first-time homebuyer or an experienced buyer, we can provide you with access to the best mortgage products and rates across Canada. Let us educate you about no-down-payment mortgages, self-employment programs, rental purchase programs, vacation property programs, and other financing alternatives before you make your purchase. We can help you get into your new home much sooner than you expect. Nearly 60% of borrowers simply sign and send back the first renewal the lender offers them without ever shopping around for a more favourable interest rate. Homeowners should never accept the first rate offer from their existing lender. Without any negotiation, simply signing up for the market rate on a renewal unnecessarily costs the homeowner a lot of money on their mortgage. Generally it is a good idea to start shopping for a new term four to six months before your current mortgage term expires. 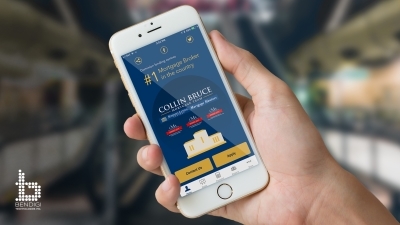 Before you ever hear from your lender about renewing your mortgage term, have the Collin Bruce Mortgage Team shop around for you. You will be amazed at what we can accomplish on your behalf! There are many reasons for refinancing a mortgage. You might want to stabilize your payments by changing from a variable to a fixed rate mortgage. Perhaps you have improved your credit score and qualify for a better mortgage with a better discount. Or maybe you want to refinance a home loan to pull out equity for home improvements, investments, college expenses, or high-interest debt consolidation. Home equity is an easy and affordable way to access money you have accumulated in your home, especially if you have a good first mortgage in place. If you plan to remove equity from your home, you should be aware of the benefits and possible risks. Talk to a licensed mortgage professional and financial planner to discuss how you can make home equity work for you. Are you over 55 and in need of money to pay for debts, expenses, home renovations, travel, or unforeseen circumstances — without having to sell your home? CHIP is a loan that’s secured against the value of your home, enabling you to convert up to 55% of the home’s value into tax-free cash. This is an ideal way to stay in your home for longer and set yourself up for a stress-free, financially stable retirement. You can use CHIP to finance, refinance, or buy a new primary residence. As long as you live in the home, you won’t have to make any principal or interest payments. You only need to repay the loan when you move out. Income verification and credit score aren’t needed to quality. Best of all, you still own the title to your home. Talk to the Collin Bruce Mortgage Team about how you can make a CHIP reverse mortgage work for you!